It is hard to overstate how much has changed – in the world, in our sector, and in our organisation – since 2014 when our last strategic plan was developed. In recent years, we’ve entered an environment where our most fundamental beliefs and assumptions are up for debate. Today’s challenges – among them, the rise of populism, a resurgence of authoritarian politics, deepening societal divisions, restrictions on our civic spaces, and the weaponisation of technology – are not simply due to recent geopolitical shocks, but rather are symptoms of complex, interrelated trends building for many years. Despite these challenges, we believe there is reason for optimism and opportunity for change. When we launched Luminate in October 2018 we wrote of our desire to push back against these challenges. We also highlighted that significant positive progress and objective improvements in the quality of life for many around the world have been achieved, which need to be protected and advanced. For example, despite the attacks on civic space in many regions, we've seen rising levels of civic engagement and participation and remarkable uprisings against undemocratic behavior and corruption. The work of the extraordinary individuals and organisations that comprise our portfolio, and the ecosystems they operate within, is what makes us believe that, with them, we can build stronger, more just and fair societies. Our launch as an independent organisation gave us time to reflect, to take a fresh look at our work and, in places, to change course. In the development of our first strategic plan, we considered how we might best contribute to addressing the issues which are disrupting democracy, how we might better anticipate future challenges, and how we might protect the important positive gains that have been made. We have done the – at times painful – work of examining where our assumptions were incorrect, where our theories of change have played out, and where we have contributed to impact. 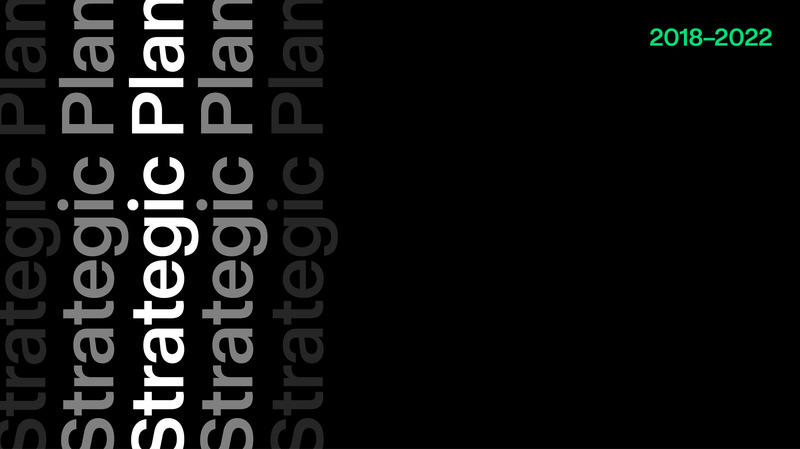 As they often do, our strategic planning process involved a review of the portfolio we have built over the last decade, an analysis of contextual shifts in the geographies where we work, and a discussion of the global headwinds and tailwinds affecting the course and direction of our work. Our new organisation and independence give us license to be more flexible and responsive to the need of our partners and investees, to be more assertive, to dial up our appetite for risk in pursuit of impact, and to consider how to use a broader suite of tools in more creative ways. Increase our participation in donor collaboratives and funds which allow us to pool knowledge, resources, and/or influence with like-minded funders. Making government, corporations, media and those in positions of power more responsive and more accountable. Our work across the impact areas has evolved substantially over time, as have the operating context and approach for each. 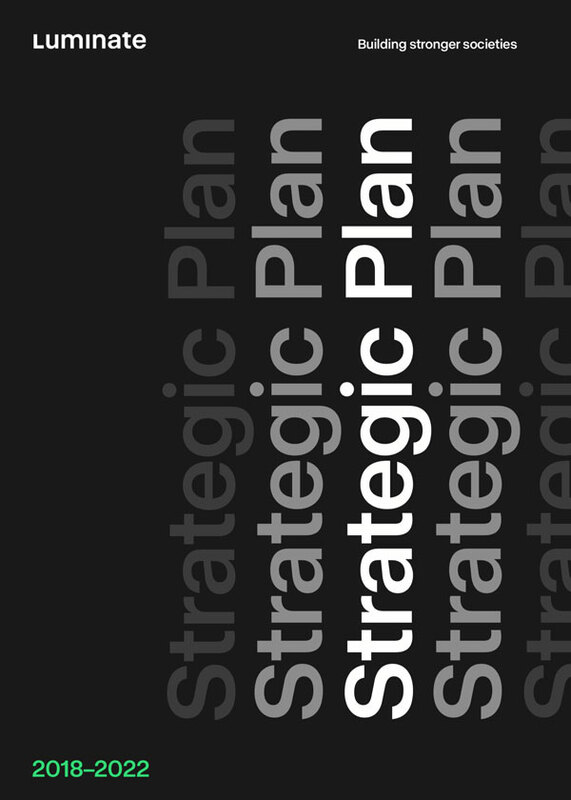 Detail about the objectives, assumptions, and planned activities for each can be found in the summary strategic plan, and on the relevant impact area page of our website. In our view, these themes remain the best anchors for our work, considering our expertise, networks, and the broader funding landscape. Furthermore, each has a particularly meaningful role to play in the face of the headwinds discussed above. We dial up or down the degree of focus on each impact area in a given region based on local context and opportunities. In one geography, we may focus on supporting nascent organisations in the digital rights space, while in another we may prioritize supporting investigative journalists covering the intersection of money and politics, and in still another we may support new mobilisation efforts to enable historically underrepresented groups to participate in government. While a clear majority of our work across regions aligns to one or multiple impact areas, we also have the flexibility to respond rapidly when new or unforeseen needs arise, to tailor regional priorities to fill a gap, or to explore new themes in response to changing contexts. In 2019, examples of these regionally specific priorities include immigration in the United States, youth empowerment in Africa, community and democratic participation in Western Europe, and citizen security in Latin America. If your organisation does work on these issues and you're interested in learning more about what we support, you can find additional information about our investment process here. Factors shaping the governance sector are not limited to elections and political protests. External dynamics, peripheral trends, and dynamics beyond our control often have substantial implications for the evolution of our operating context. Some such topics on our minds today include the role of religious affiliations, demographic shifts, environmental change, and economic dislocation and inequality. During the coming year, we will do more to open ourselves up to broader, more diverse sources of signals and trends and will build a more deliberate approach to forecast possible and probable impacts on our work. We are in the process of constituting a group of advisors from across the regions where we work, as well as considering how we can incorporate more feedback and external perspectives into our approaches on a regular basis. We find ourselves at a moment in time when our work, and that of the organisations we support around the world, has never been more challenging or important. The responsibility to use our significant resources effectively has never been greater. We know we must listen, think, and act differently, and that we must be open to learning and adapting along the way. We believe that our new organisation and new strategy give us the opportunity to do this. We will be more responsive to the needs of our partners, and a more vocal advocate for policies and actions that will drive change. Though we have broadened the issues we work on, we will continue to prioritise nuanced, deep, and locally-driven solutions. We acknowledge the systemic nature of many of the challenges we face, and the long-term commitments and patience required to address them. At the same time, we must keep our eyes and ears open for signals of future issues that will require us to adapt and respond rapidly. Ultimately, while this strategy includes some exciting changes, our core commitment to building just and fair societies remains the same. We will support those working tirelessly around the world to ensure everyone has the opportunity to participate in and influence the issues affecting their societies and has the ability to hold power to account.